My problem with mechanical pencils is that I break the lead tips constantly. I'm not the only one who dislikes mechanical pencils for this reason. 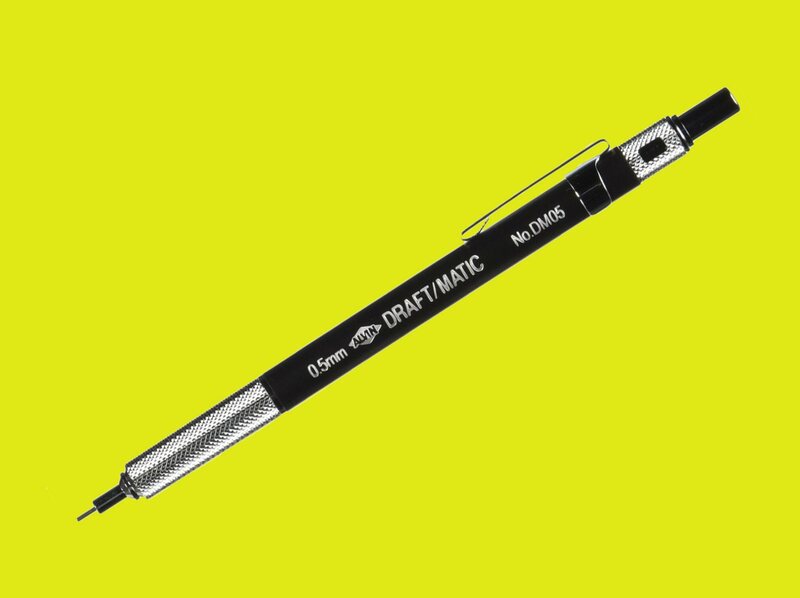 In the past, mechanical pencil makers have tried to solve this problem by creating lead formulations that resist snapping, but these kinds of "unbreakable" lead have a plastic feel that's unappealing. Last year Zebra, a Japanese company, introduced a new $(removed) mechanical pencil with a dual-spring tip that allows the lead to flex under pressure without breaking. In the video below, someone presses a mechanical pencil against a scale and the tip breaks when the scale gets to 1kg. Then they use a Zebra DelGuard pencil and the lead doesn't break until the scale gets to 5kg. I worked as an engineering intern for a couple of summers when I was in college. I shared a cubicle with a draftsperson named Laura. She was obsessed with two things - being part of an outlaw motorcycle gang, and her drafting materials, especially her mechanical pencil. I liked her very much, but one time I made the mistake of borrowing her pencil while she was on a cigarette break. When she came back and discovered me using it she was so mad I thought she was going to stab me with it. I remember her describing the pencil as her "bread and butter." I promised I wouldn't use it again and we got along wonderfully for the rest of the summer. I'm 99% percent sure the pencil she owned was an Alvin Draft-Matic 5mm. They are only $(removed) on Amazon, and reviewers love them. I just bought one. I can't wait to use it without getting hollered at. 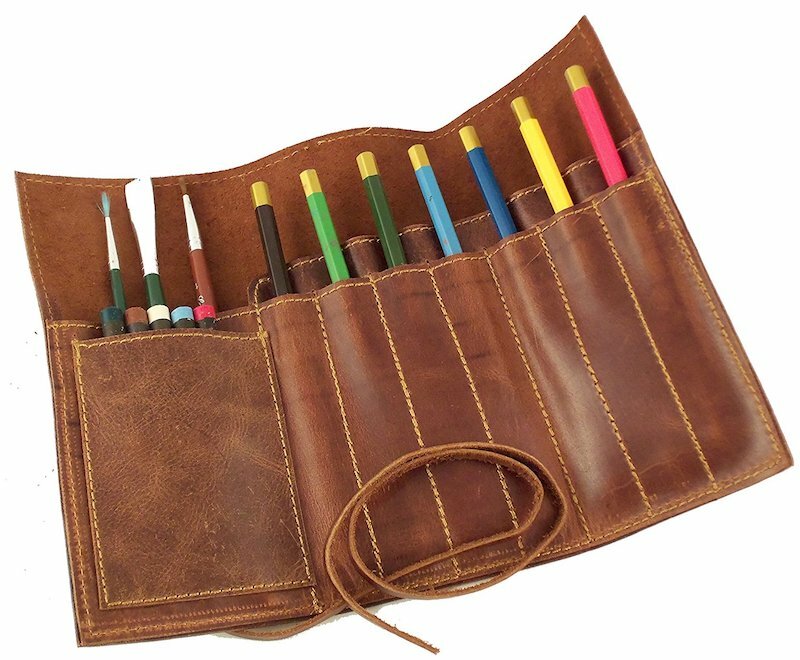 To store my pencils, charcoals, lead holder, erasers, snap-blade knife, and reading glasses I bought a Lihit Lab Teffa "book style" pencil case ($(removed) on Amazon). It's not large, but it's designed with "pages" to hold your stuff efficiently. 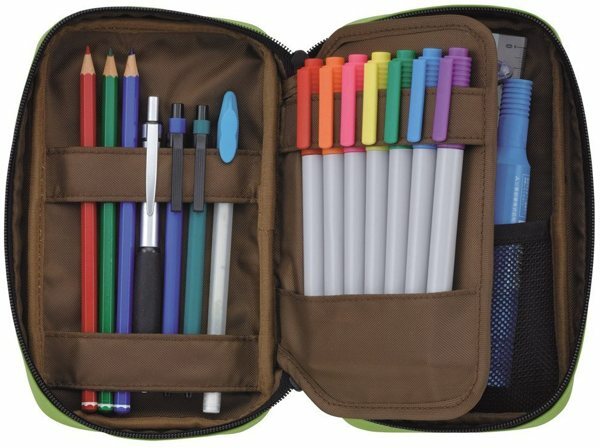 Pens and pencils fit behind straps, and smaller stuff can be stashed in the mesh pouches. Below, a couple of my recent sketches. In each episode of Gweek, I invite a guest or two to join me in a discussion about recommended media, apps, and gadgets. This time my guests were Clive Thompson, a science and technology journalist, whose new book is Smarter Than You Think: How Technology is Changing Our Minds for the Better, and Ruben Bolling, author of the weekly comic strip Tom the Dancing Bug, which premieres each week on Boing Boing, and pre-premiers for members of his Inner Hive. Hover, the best way to buy and manage domain names. Get a 10% discount when you go to Hover and use the code TREASUREMAP. 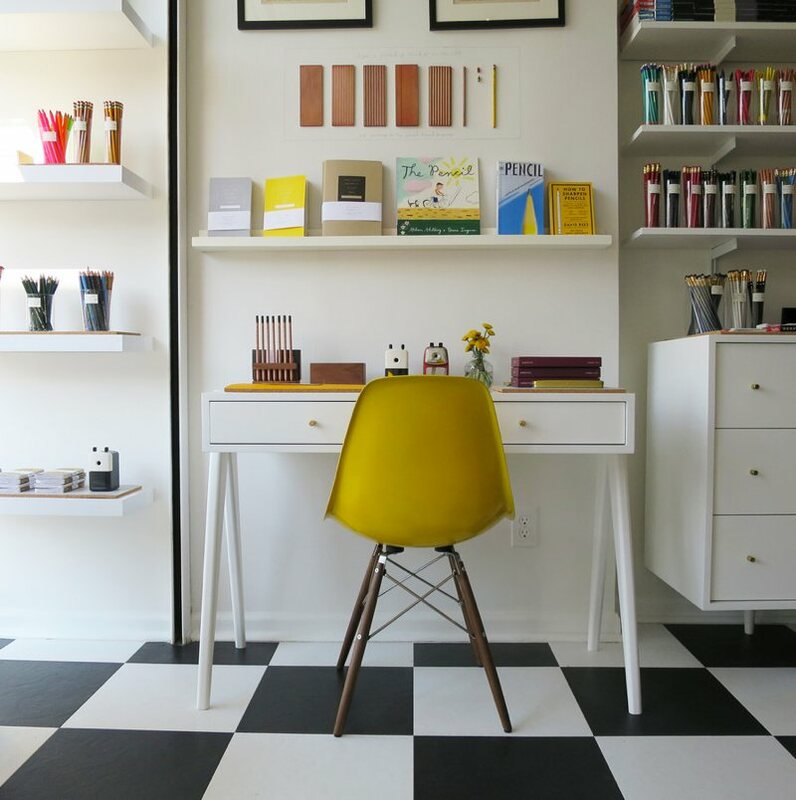 99designs, the world’s largest online marketplace for graphic design. Visit 99designs.com/gweek and get a $(removed) Power Pack of services for free. The Gorgeous Nothings, a book that reprints 52 of Emily Dickinson’s poems that she wrote on the backs of used envelopes. Michael Leddy of Orange Crate Art wrote about his favorite pencil, the Eberhard Faber Mongol (ad copy: “writers say it actually stimulates flow of thoughts”), and included this attractive 1964 Life magazine ad for the Mongol and other Eberhard Faber products. 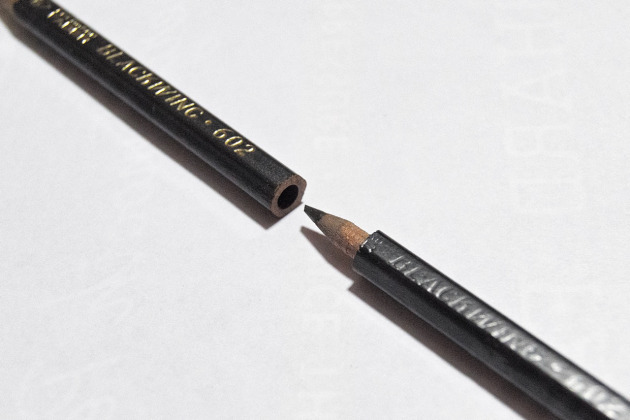 David Rees, author of How to Sharpen Pencils: A Practical & Theoretical Treatise on the Artisanal Craft of Pencil Sharpening, has a pencil sharpening service. 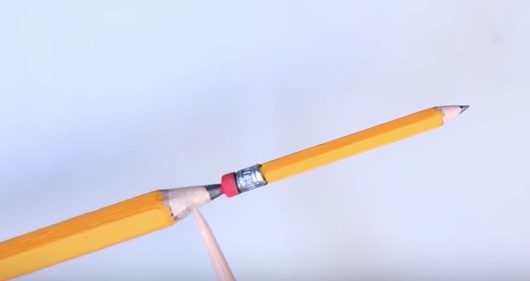 He charges $(removed) to sharpen each pencil. To date he has sharpened 1,804 pencils. But he is growing weary of the work and is thinking about closing the business. "The whole point of the business is to remind people to appreciate yellow, No. 2 pencils because they're really cool and interesting," he said. "And to make a ton of money." So as he nears the nice round number of 2,000 sharpenings, Rees suggested that soon he'd like to clean out his sharpeners for good, leaving the world a much duller place. So, the obvious question is, why pencils? What is it about pencils that merit this sort of attention, this level of devotion? Johnny Gamber, the site's creator and leader, answered that for me over email. 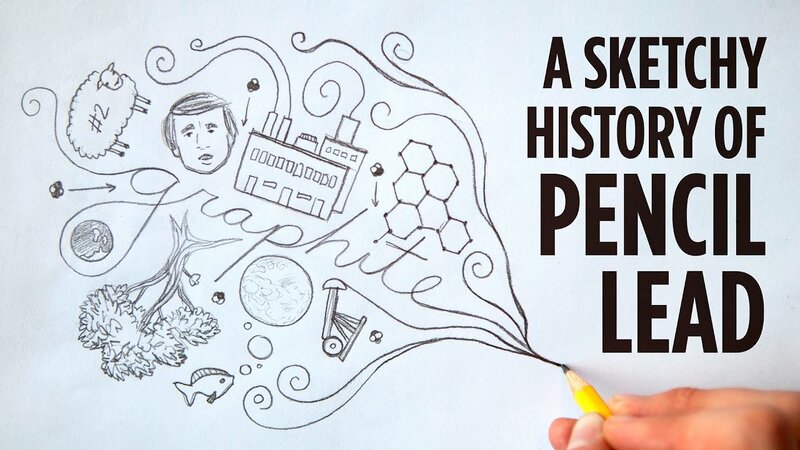 What draws him to pencils are "their relative simplicity." But, at that same time, that simplicity obscures an object that, as Gamber sees it, is "amazing," if you just look closely enough. "While mostly made of wood, graphite and clay, they are wonders of engineering," he writes. "Even terrible pencils are made with astounding precision. 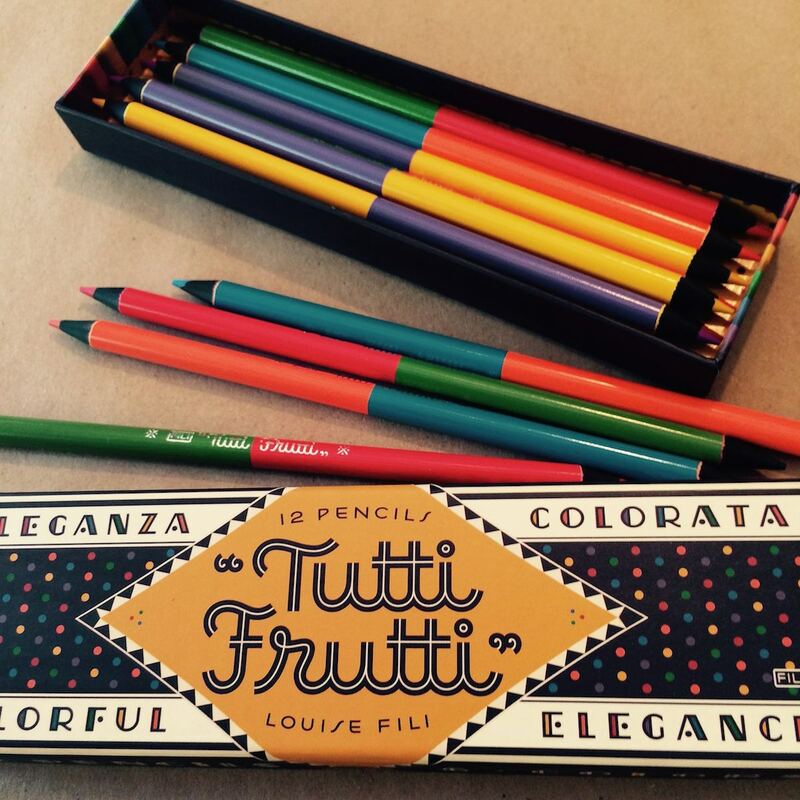 I use soft pencils and I bear down hard when I write. As a result, I have to resharpen the pencils frequently. A few years ago I came across this pocket-size two-hole pencil sharpener and now swear by it. It produces very sharp points and does so efficiently.